Here are some common sense guidelines to enjoying the beach safely. You should always check with a lifeguard for up to date information on rips, stingers and general beach safety. Young children and weak swimmers need to take extra care at surf beaches as the waves and undertows can be much more powerful than they look. As always, sun protection is recommended. 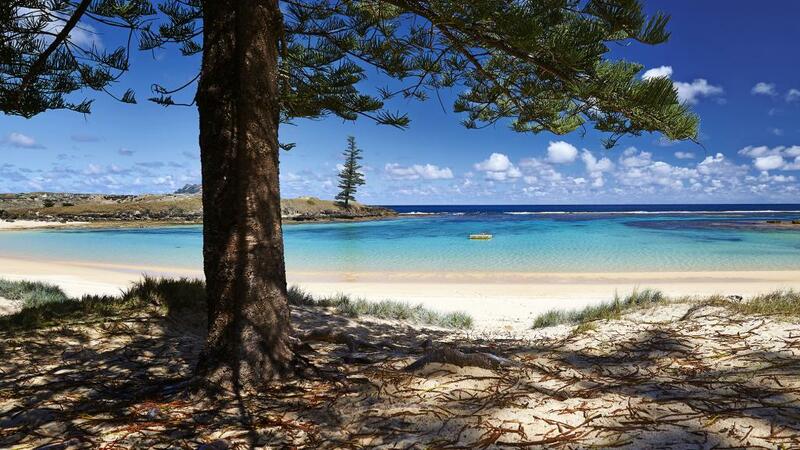 The sun on Norfolk Island is intense and caution should be taken when spending long periods of time outdoors. Any sun injury enough to cause tanning will increase your risk of skin cancer and premature aging of the skin. If you are taking medication it is important that you consult your Doctor concerning the chances of photosensitization occurring. Photosensitization is an increased sensitivity to sun exposure, it is a possible side effect of certain medications, including certain kinds of antibiotics, heart and blood pressure medicines, antihistamines and antidepressants. The best sunscreens have a sun protection factor of 15+ or more. There are a number of sunscreens available on Norfolk that go up to SPF 50. It is very difficult to treat sunburn once it has occurred, prevention is the best medicine. If, however, you do end up getting burnt then it is vitally important that you do not expose yourself to further damaging rays. Stay indoors until the burning subsides or pack on the sunscreen and cover up with clothing. Always swim or surf at a beach patrolled by lifesavers. Swim between the red and yellow flags. They mark the safest areas to swim. Always swim under supervision. Or with a friend. Read and obey the signs. If you are unsure of conditions, ask a lifesaver. Don't swim under the influence of alcohol or drugs. Don't run and dive in the water. Conditions change regularly, check before you enter the water. If you get into trouble in the water, don't panic signal for help, float and wait for assistance. Float with a rip current or undertow. Do not swim against it.